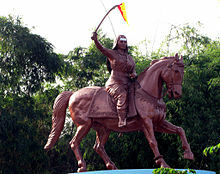 ↑ "Kittur Rani Chennamma's samadhi lies in neglect". The Times of India. 30 October 2012. Retrieved 6 November 2012.